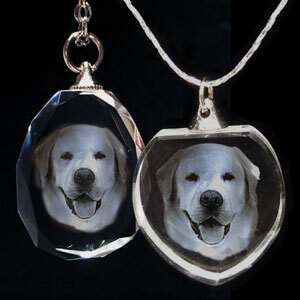 These wonderful 2D photo laser etched crystal pendant necklaces capture your favourite photo forever. 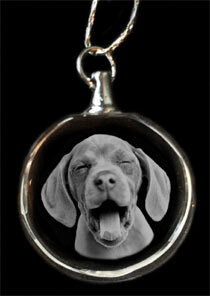 Your photo is laser engraved into a high quality crystal pendant. This jewellery is a really beautiful way to capture those precious memories. These stunning crystal necklaces make a keepsake or gift with a difference. 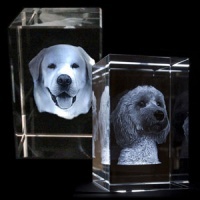 You don't just have to have your pet's photo etched into crystal. 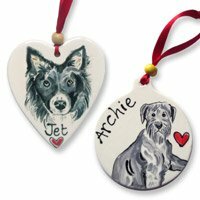 We can do people too but please note that each pendant can feature only one subject i.e. one pet or one person. Capture that moment for eternity. Will never fade, wear or tear and will last from generation to generation. Your most treasured photo suspended within fine optic crystal using the latest software and laser techniques. Whatever photo you choose, we ask that it be in focus and with the subject looking in the direction of the camera. Don't worry about the background in your photo. 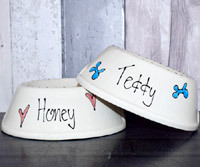 The designer will carefully remove the background and any other subjects so the focus is on the one pet or person. The heart and round pendants come supplied with a 16" silver chain (thinner than a standard silver chain so we suggest changing the chain if it is something you are going to wear on a permanent basis). The oval pendant is faceted around the edge and comes on a 22" silver link chain. 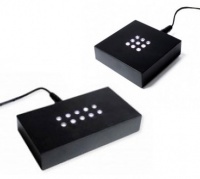 All pendant images show best against a dark background or clothing. Presented in a small black fabric pouch with pull tie. I lost my beautiful dog Mona last year and I am so happy to have this little momento of her which I can wear around my neck. Beautifully crafted and received quickly. Thank you so happy with the 2 Crystal Pendants I bought for my son and daughter they both love them . Fast delivery . Would highly recommend. Another four lovely items from D For Dog I ordered four crystal pendants for my friends birthday of her four Border Collies with their photos in, they are really lovely a very good size and she is so happy with them. 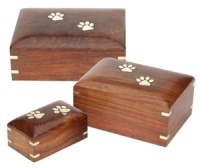 Thanks to everyone at DFORDOG. Wow what can I say apart from truely amazing! Love the product and delivery was great, thank you so much. Am definitely going to order some more for my family. Thank you. I just got the necklace this morning and I'm SO happy with it. My friend is going to be equally delighted. 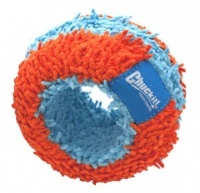 A lovely product. Thank you so much. Her near found this website and ordered the necklace with picture of my dog .. it's a fab keepsake I love it ... so now ordered one for my other niece who lost her furbaby .. can't wait to see her face when I give her the pendant. I needed a keepsake of my dog that has past away, ion choose a round pendent and it is beautiful. Well done. D for dog. This gift was perfect alongside amazing service given to get it ' just right' I will definatly use this site again for future occasions ,it is that perfect gift that carries depth of meaning to the person receiving it. A lovely piece- much chunkier than anticipated so can see why they recommend swapping the chain. Love the fact it won't wear/rub off. Arrived quickly too. Well worth purchasing. The image is nice and crisp and clear, although as stated, shows up better depending on what's behind it. Great communication with seller. Let me know what was happening every step of the way. Lovely gift for my grandaughter. Promt delivery.